What a book. Totally absorbing, enlightening and moving story which takes you through the history of Palestine up until close to present day. The situation is described from both the native Palestinian point of view, and that of Jewish settlers. It's the story of two people from either side of the conflict who become friends. The Palestinian family is forced from their home, and a Jewish family fleeing persecution in Europe move in. In this way , we see the shared geography and history from two very different perspectives. These two main characters share a mutual respect, whilst having such fundamental disagreements, and the reader is given a very clear outline of both viewpoints. It's historically accurate, and contains a lot of factual detail, but never becomes dull or dry. Thoroughly recommend it. 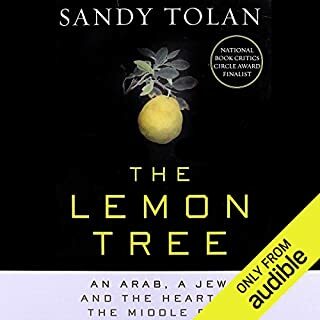 What other book might you compare The Lemon Tree to, and why? I've read several books about Palestine and this one is particularly powerful as it gives both perspectives. Born just before the First World War, Elizabeth Pringle has been a familiar yet solitary figure on the Scottish island of Arran. A dutiful daughter, an inspirational teacher, a gardener. But did anyone really know her? When Elizabeth dies, her will contains a surprise. She has left her home and her belongings to someone who is all but a stranger, a young mother she watched pushing a pram down the road more than thirty years ago. Now it falls to Martha, the baby in that pram, to find out how her mother inherited the house in such strange circumstances, and in doing so, perhaps leave her own past behind. Why should a house be left to your mother? 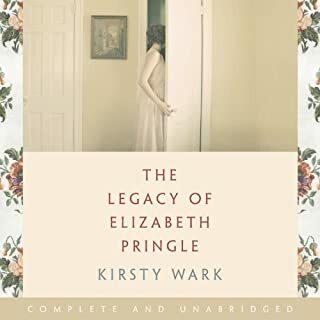 What did you like most about The Legacy of Elizabeth Pringle? I didn't have high expectations* of this and chose it because I have a weekend away in Arran this week. I love Arran, and could follow all the places mentioned so that may have clouded my judgement. It tells the story of two women, separated by generations and linked by the island. It's an engrossing story beautifully told. There are bits, mostly early on, which are a bit over-written with too much flowery description but that seems to drop and the book gets into its stride. There are some surprising twists and turns so won't say too much and give anything away. I was completely captivated. Loved it. I also bought the Audible version, which is read by the fantastic Siobhan Redmond, but listened and read the same bits. *due to unfair prejudice about celebrities that write books. What does Siobhan Redmond bring to the story that you wouldn’t experience if you had only read the book? Siobhan Redmond has such a rich, emotive voice - part of the reason I listened rather than read the book. I found I really engaged with the characters - I laughed and cried with the.